More people are realising their dreams of creating their own timber framed house, and at English Oak Buildings we are here to make the process as easy as possible. English Oak Buildings specialise in the bespoke design and construction by hand of traditional oak framed houses so that every oak framed house is designed and built to best practices for sustainability and to suit your specific requirements. Our team of skilled carpenters ensure that components fit perfectly together by assembling the oak frame in our workshop before delivery to site. 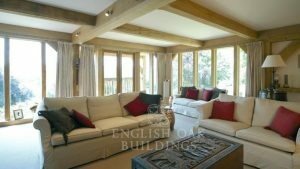 We are continually told by our clients that there is something unique about living in green oak framed houses – not only from the feel and warmth of the wood, but the fact they have created it themselves. 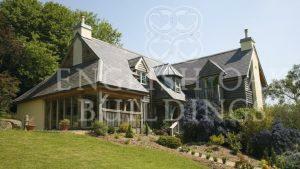 Each build is designed around your particular lifestyle, and so we approach every project in a completely individual way. This means we can tailor our work to a variety of budgets and briefs. 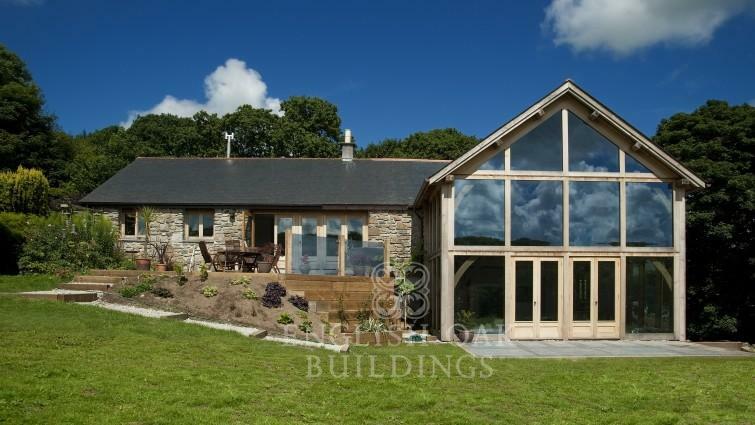 Whether you want large open spaces that are flooded with light, traditional cosy rooms with bags of character, or contemporary features using glazing and modern materials, then we can design and build the perfect home for you. 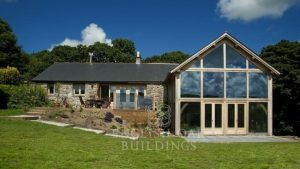 See some of our green oak framed houses here or fill in our contact form to arrange a good time to discuss the project your have in mind.